This article was first published in the Daily Maverick on 20 October 2016. 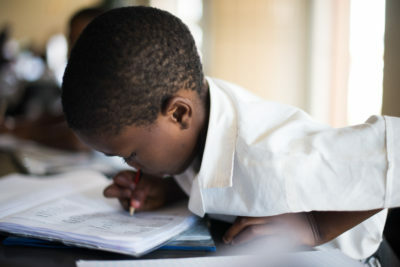 Equal Education has joined trade unions in calling for the draft Western Cape Provincial School Amendment Act to be abandoned because, among other things, it makes provision for a new category of public schools. These schools, called Collaboration Schools, are being piloted with the support of a number of South African and international donors. In essence, Collaboration Schools aim to give children in the poorest and worst performing schools the same opportunity as any child in the best public schools by bringing new (non-profit) management and teaching expertise into the public system. In these schools, parents pay no fees and admission is non-selective. Predictably, the response has been polarised. Some view it as a Trojan horse strategy to secrete privatisation into public schools. Others view it as a genuine attempt to strengthen provision in underperforming schools that serve such poor communities that they are of no interest to commercial enterprise. As one of the foundations behind the initiative, we’re firmly in the latter camp. Here’s why. Public schools are still divided into two distinct ‘quality humps’. The big hump is poor quality schools – almost all historically black. The small hump is good quality schools – almost all formerly white. While the overall quality of education has improved a bit, patterns of inequality have not shifted since 1994. Most black children still can’t read or do maths nearly as well as white children. In 2015, almost 1000 high schools had Grade 12 pass rates lower than 40%. That’s school failure. Fifty times more quintile 1 and 2 schools failed than in the richest quintile of schools. As low-fee independent schools have grown, so more parents who can afford to pay choose to take their children out of the public education system. So what should we do? The standard response is that teaching and learning must be strengthened in government schools and that regulation must be used to curtail the rampant growth of the private sector. But if this is the full extent of our imagination, we’ve learnt nothing from recent history. Those of us involved in restructuring the health service in 1994 also thought that licensing and restraint-of-trade policies would curb spiralling costs in the private sector. But we failed. Private medicine is now hugely expensive, yet the irony is that most people are willing to sacrifice basic essentials to pay for a private doctor. Public health care is for the poor. Now we’re trying to retrofit the system with a national health insurance (NHI) scheme that is held to ransom by the unaffordable cost structure of private medicine! We should be kicking ourselves for not pushing harder for the NHI twenty years ago when the public-private differentials were not as great. Today’s NHI proposal is based on the same premise as that of Collaboration Schools, except that the NHI goes further by including for-profit practitioners in the mix. That premise is that the State’s mandate is to ensure the provision of public goods by financing them, but it doesn’t have to be the service provider. Government education policy already accepts this same premise by providing subsidies for low fee independent schools. But surely it would be more logical to retain that education expertise (and funding) within the public system? In most provinces, government turnaround strategies in failing schools may have caused the needle to flicker, but not to move. Collaboration schools is an attempt to ‘move the needle’ by introducing non-profit management into underperforming public schools – where the operating partners must achieve great results within three to five years. We’ve learnt a lot from the pilot project in the Western Cape. This is what we’ve found. When properly consulted, parents want to try out new ideas. They are not stupid. They won’t cede ultimate control to anyone else, but they’re willing for competent non-profit organisations to manage the schools at their behest. Parents have given a clear ultimatum to school operating partners: deliver on your promises, or you’re out! Disempowered parents? I think not. Neither do they want operating partners to make excuses by whining that they have insufficient say on the school governing body. Admittedly, some have resisted the notion of operators having majority say on the SGB, but most want nothing less than a ‘fifty-fifty partnership’ so that everybody can be held to account. Teachers are fearful, but they also know what they want. Most want to do their jobs as well as they can. A few are shocked at the thought of working five days a week, as they’re accustomed to pitching up less frequently. In the toughest schools, teachers are no longer split on trade union lines, but between those who want to work and those who don’t. For those who do, this partnership offers fantastic opportunity for personal growth and development. That’s probably why 1600 teachers applied for the 60 posts made available in the two new Collaboration schools. And contrary to criticism, they don’t lose their benefits. If they’re already employed in existing schools, they stay on the departmental payroll. In new schools, the provincial government pays the school the equivalent of their salary and benefits. Shaking up the system is going to be uncomfortable, but it has to happen. Here is an initiative that seeks to innovate the public system, working in schools with a level of dysfunctionality that no commercially-minded entrepreneur would touch with a bargepole. It’s easy to stick labels onto new ideas that don’t fit any ideological mold, but that’s intellectually lazy. It won’t help the children in thousands of public schools who are going to fail simply because the system does not work for them. Some special interest groups have already declared that the initiative will not improve quality or is unsustainable. In truth, we’re not sure that this intervention will work, because the learning gaps between rich and poor children are already so pronounced by the time they enter school. But we are sure that the idea is worth trying. For that reason, we’ve appointed an independent team of evaluators to assess impact and cost-effectiveness. On its own, this incremental innovation is not radical enough to transform the education system. But it could nurture a new branch of public education to be grasped by thousands of children now entering school who are destined to fail because nobody really expects dramatic changes in the education system over the next decade. Unquestionably, part of the solution is doing what we do better. Part of it is doing things differently. We must therefore resist the instinct to nip off promising new shoots for fear they morph into something else. Change requires courage, imagination and trust – and trust can be built if we put children’s interests ahead of our own.